An Immersive Story, A Shaded Experience. Explore a magical world that will lead players on a journey from the underworld ruins of a long-dead people to the heart of untamed forests where otherworldly creatures dwell. 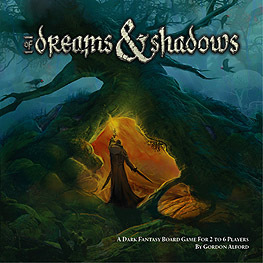 Of Dreams & Shadows is a cooperative board game for up to six player who take on the role of Champions embarking on a quest to save their realm.